There are good alternatives to the guns that are now gone. Fortnite developer Epic Games has killed the Burst Assault Rifle. Today’s v7.30 update has revealed that the Burst Rifle is now vaulted from Fortnite: Battle Royale. Players will no longer see the weapon in standard modes, Pop-Up Cups, and other modes in the Events tab. The only chances of seeing Burst Rifles now is by playing Limited Time Modes that may or may not include them. This was the second and final hit Burst Rifles took from Epic. The company sent to the vault the Common (Gray), Uncommon (Green), and Rare (Blue) Burst Rifles in the v7.10 update in December, and now the Epic and Legendary variants are also gone. Epic did not comment on why it removed this gun from the game. Players still have the Heavy Assault Rifle and the standard Assault Rifle as alternatives for high-rarity guns of that same class. Other vaulted weapons might have a huge impact in matches. From now on, Heavy Shotguns are also gone. They used to come in Epic and Legendary variants and were a good alternative to Pump Shotguns due to their high fire rate and damage. Now that they’re gone, the only high-rarity Shotguns players can find are the Epic and Legendary Pump Shotguns. They deal tons of damage, but their fire rate is not as high as that of Heavy Shotguns. The most popular Sniper Rifle, the Bolt-Action Sniper, is now in the vault as well. Players who want to use Snipers now only have Heavy and Suppressed Sniper Rifles as an alternative, or the Hunting Rifle for a no-scope version. Players might miss the Bolt-Action Rifle due to its Rare variant, which was the lowest-rarity scoped Sniper Rifle in the game and made it easy for players to find it in matches. Now those who want to use a scoped gun will be limited to Epic and Legendary Snipers. 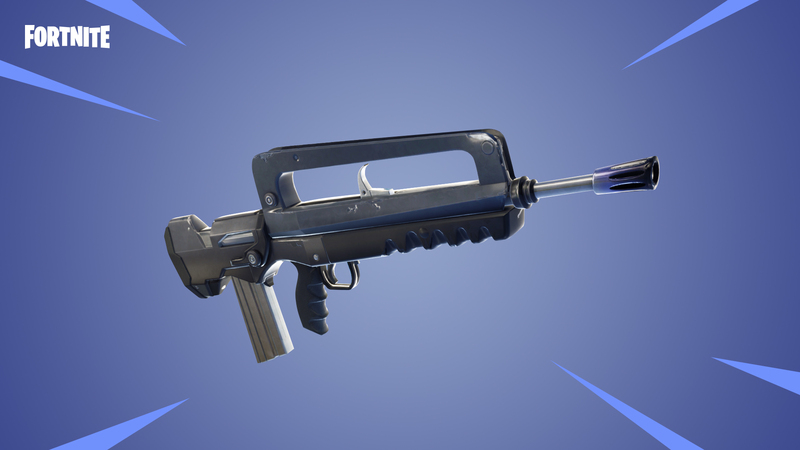 The SMGs are getting the Burst Rifle v7.10 treatment. Its Common, Uncommon, and Rare variants are now in the vault, which means Epic and Legendary SMGs are still available. Epic Games reintroduced the Suppressed SMGs to make up for this change. If Suppressed SMGs did not have their stats adjusted after Epic vaulted them in the v6.00 update, they should deal more damage per shot than regular SMGs with a lower fire rate. Players will be able to test how Fortnite feels without these vaulted weapons as soon as the server downtime for the v7.30 update is over in a couple of hours.